Sixteen SDFD firefighters who spent nearly eight months receiving instruction and performing in classroom, lab, clinical and field internship environments are graduating from the only fire department-based paramedic training institute in California, according to city officials. 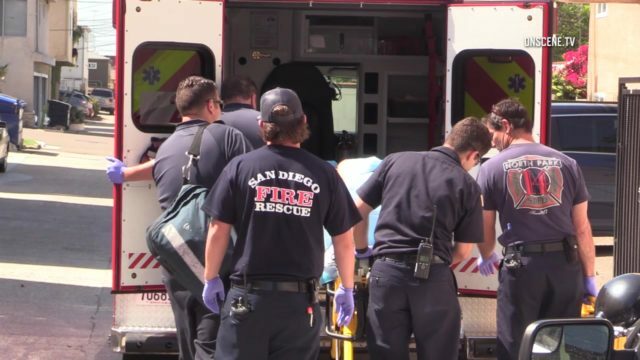 The first class of the Paramedic Training Institute — created by the San Diego Fire-Rescue Department — will graduate 3 p.m. Monday aboard the USS Midway. There are currently more than 30 paramedic programs operating in California under the Commission on Accreditation of Allied Health Education Programs, but they consist of college, community college and private post-secondary institutions offering paramedic training. The Paramedic Training Institute’s first class began July 31, 2017; 34 firefighters competed for the opportunity to participate in the class. Graduation from the institute requires successful completion of 1,299 hours divided among the classroom portion, skills lab, clinical experience and a field internship, officials said. The final step to become a paramedic is to successfully pass the National Registry of Emergency Medical Technicians Exam – commonly referred to as the National Registry exam. Graduates are expected to be fully licensed and ready to work in the field as paramedics by June 2018. The SDFD Paramedic Training Institute will be offered to SDFD firefighters once per year. SDFD has received provisional accreditation because the benchmarks required by CAAHEP were achieved. The accreditation process takes about three years to complete, city officials said.